Is there such a thing as “Action at a distance”? What ever happened to "action at a distance" in entangled quantum states, i.e. the Einstein-Rosen-Podolsky (EPR) paradox? I thought they argued that in principle one could communicate faster than speed of light with entangled, separated states when one wave function gets collapsed. I imagine this paradox has been resolved, but I don't know the reference. It's not possible to communicate faster than light using entangled states. All you get out of entanglement is a correlation between the values of two measurements. ; the entanglement doesn't allow you to influence the value measured at another location in a non-causal way. In other words, the correlation only becomes evident after combining the results from the measurements afterwards, for which you need classical information transfer. Suppose you measure the spin of the positron along this chosen axis. If you measure $\uparrow$, then the state will collapse to $|e^+ \uparrow\rangle|e^- \downarrow\rangle$, which determines that the spin of the electron must be $\downarrow$; and vice versa. So if you and the other person (who is measuring the electron spin) get together and compare measurements afterwards, you'll always find that you've made opposite measurements for the spins. But there is no way to control which value you measure for the spin of the positron, which is what you'd need to do to send information. As long as the other person doesn't know what the result of your measurement is, he can't attach any informational value to either result for his measurement. Well, the problem in that paradox is that yes, one of the parties will measure the entangled particle to get the wave function collapsed and yes it will collapse for the other party. However, the other party will still have to measure the thing to learn what it is or has to wait for the initial party to send them a message telling what the wave function has collapsed to. The first method will result in a 50% +x and 50% -x(if it is spin you are measuring), as the wave function that collapsed can collapse to either one of these states. So the fact that the wave function collapsed does not really transfer any usable information to the other side. The second method is capped with the speed of light anyway. Let's be more rigorous. No-signalling has been proven safely and shouldn't be worried about. 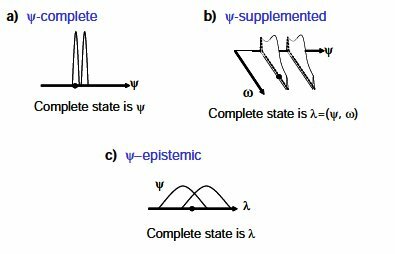 Nevertheless, you'd notice that the point of EPR paper was to show that if quantum mechanics is considered to be a description of "reality", then it is "incomplete". There is an approach, such as in operationalism, to say quantum mechanics isn't meant to be a description of reality. It's a description of our knowledge of reality, due to Asher Peres. Another approach is to say we can give an ontological model of quantum theory using contextual hidden variables, such as the one in de Broglie-Bohm model. So conclusion: EPR argument hasn't been resolved if you mean it's gone! Because in fact orthodox quantum mechanics isn't a complete description of reality. However, it doesn't mean one can signal faster than light! Some interesting extra information: There is an interesting paper which kind of analyses Einstein's argument. It bring historical facts that show Einstein didn't like the EPR and wrote another paper with the same title in correspondence with Schrödinger, and the one with Rosen and Podolsky was never reviewed by him. I believe Einstein had in mind to show that quantum mechanics can't give a picture of type (a). Which was successful. Because, even if there is an underlying reality, quantum states can't sharply specify them by any means. Everybody misses the point Einstein was trying to make, which makes it all the more remarkable that it's been 80 years since he was working on spooky action at a distance. The no signalling theorems mean nothing, and it's a shame that most answers simply site: no signalling, nothing spooky about it. Bell emphasized that his theorem could be quickly summarized as: there is non-locality. Guess what? Bell was very well aware of the no signalling theorems. The point is not that we can send signals, the point is that there is a signal sent by the photons themselves -- they have to be communicating. How else could they always coordinate their spins? Einstein's whole critique of quantum mechanics was that it needed to be like Bertleman's socks -- e.g. that the spins were already determined before the experiment, or else there would have to be a non-local communication to coordinate the spins. Einstein called it telepathy, and it's been proven by Bell. If you don't think there's spooky action, then how do you explain that the spins are always coordinated? If you gave Alice and Bob each a quarter and separated them by a large distance and tasked them with choosing heads or tells, and they always came back to you with one choosing heads, the other choosing tails, what might you think? Maybe they talked to each other on a phone and coordinated their results? Not the answer you're looking for? Browse other questions tagged quantum-mechanics quantum-information quantum-entanglement faster-than-light causality or ask your own question. Why is quantum entanglement considered to be an active link between particles? How viable is using Quantum Entanglement for long distance communication? Are quantum-entangled particles affected by relativistic speeds? How is quantum mechanics compatible with the speed of light limit? EPR vs. EPRBB? Why can't we perform the original EPR experiment? What was the need for doing experiments to prove quantum entanglement? Do Entangled Particles communicate through Wormholes? Can someone explain why this QM FTL communication setup is wrong? Recharacterizing spooky action at a distance as a time loop invariant? Is the spin in quantum entanglement set at the moment the particles are separated, instead of when measured?